Public washrooms are extremely busy areas, making anything that is touched regularly such as soap dispensers a hot spot for germs and bacteria. With this in mind, the demand for products that reduce common contact points is increasing to prevent cross-contamination between users. The Modular Touch Free dispenses soap without the user needing to touch the dispenser. 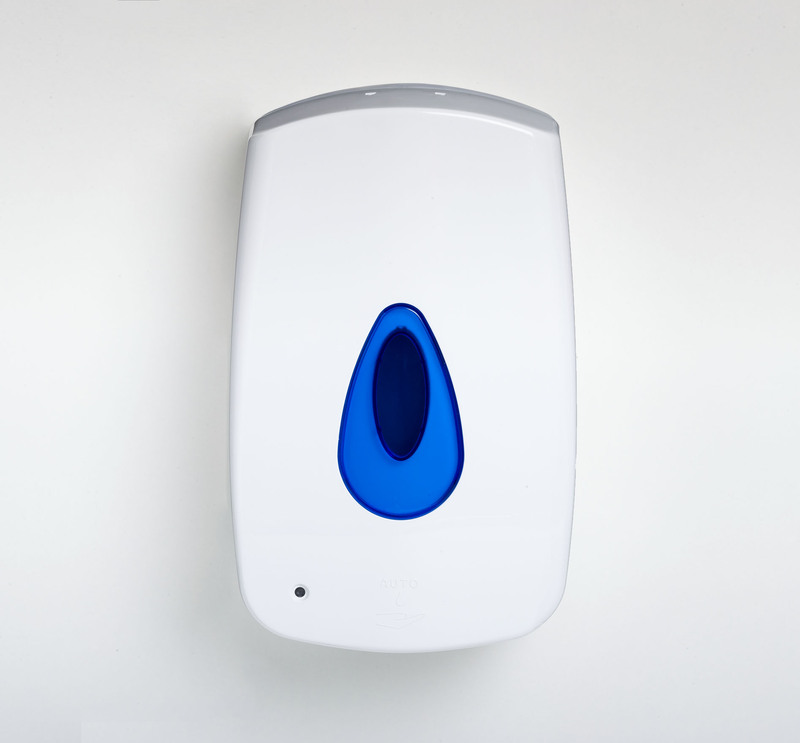 This removes a common contact point where germs and bacteria can transfer from user to user. The unit dispenses up to 1ml of liquid and 0.5 ml of foam, making it a cost-effective solution. Extensive in-house lab testing resulting in longer-lasting battery life. The Touch Free can also be customized to suit corporate colours and branding with different colour windows and logo printing, making the dispenser unique to your own brand. The Modular Touch Free is coming soon. To find out more, contact us today.